Cambuslang Girls School (2) - Pupils of John and Catherine McRobert. 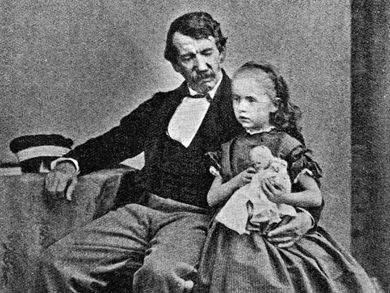 Campbell, Emma (1) - Daughter of the 7th Duke Argyll. Candlish, Robert S., 1806-1873 (1) - Preacher and theologian. Minister of St. George's, Edinburgh 1833-43 and St. George's Free Church, Edinburgh, 1843-73. Very active in the formation of the Free Church of Scotland. 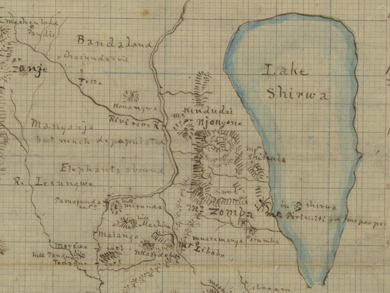 Sponsored James Stewart's visit to the Zambezi in 1862-63. Cardoso, Candido J., c.1800-1890 (2) - Trader and landowner of Tete. Acting Chief Captain of Tete 1851-61. Knight of the Order of Christ, 1863. Cato, George C. (1) - The first mayor of Durban, Natal. Cecil, Richard, 1799-1863 (4) - Congregational minister. Served at Ongar (where Livingstone studied) 1838-47. Chapman, William C., ?-1897 (3) - Commander of the sloop "Ariel," which towed Livingstone in the "Lady Nyasa" from Quilimane to Mozambique in February 1864. Promoted Captain 1866, Rear Admiral 1882, and Vice Admiral 1888. Chuma, James, c.1850-1882 (1) - Member of the Yao tribe and freed slave. Taken by Livingstone to India after the Zambezi expedition and collected just prior to the final expedition. Travelled with Livingstone until the latter's death, then accompanied Livingstone's body back to Britain where he helped edit the Last Journals. Also accompanied Joseph Thomson on travels in East Africa. Clare, Leigh (1) - Of Clare & Company, cotton merchants, Manchester. Clarendon, The Earl of, 1800-1870 (26) - George William Frederick Villiers. English diplomat and statesman. Succeeded to the peerage in 1838. Foreign Secretary 1853-58, 1865-66, and 1868-70. Involved in both Livingstone's Zambezi and final expeditions. Died in June 1870. Livingstone gave his name to Mount Clarendon, east of the Shire river. Clowes, George, 1814-1886 (1) - Partner in Wm. Clowes & Son, Printers, London. Printed Livingstone's Missionary Researches and Travels in South Africa (1857), Analysis of the Language of the Bechuanas (1858), and Narrative of an Expedition to the Zambesi and its Tributaries (1865). Coelho do Amaral, Jose R., 1808-1873 (1) - Major. Army engineer. Governor of Benguela from 1851. Acting governor general of Angola from 1854. Coghlan, William M., 1803-1885 (1) - Major General. Was Great Britain's Political Agent at Aden, 1854-1863. Knighted 1864. Coneys, Matilda (1) - Resident of Howth, Co. Dublin. Conyngham, George L., ?-1866 (4) - Served in the Foreign Office as Supernumerary Clerk 1812-17, Clerk 1817-34, Senior Clerk 1834-41, and Chief Clerk 1841-66. Cooke, Robert, 1816-1891 (9) - Partner at John Murray publishing house, Livingstone's publisher. Cowan, Mrs. (1) - Resident of Edinburgh. Her husband may have been a Corporation official. Crawford, Richard B., ?-1866 (1) - Captain, R.N., 1856. Commander of frigate "Sidon" stationed at the Cape of Good Hope, 1859-1862. Retired 1862. Visited Livingstone at the mouth of the Zambezi in February 1861.